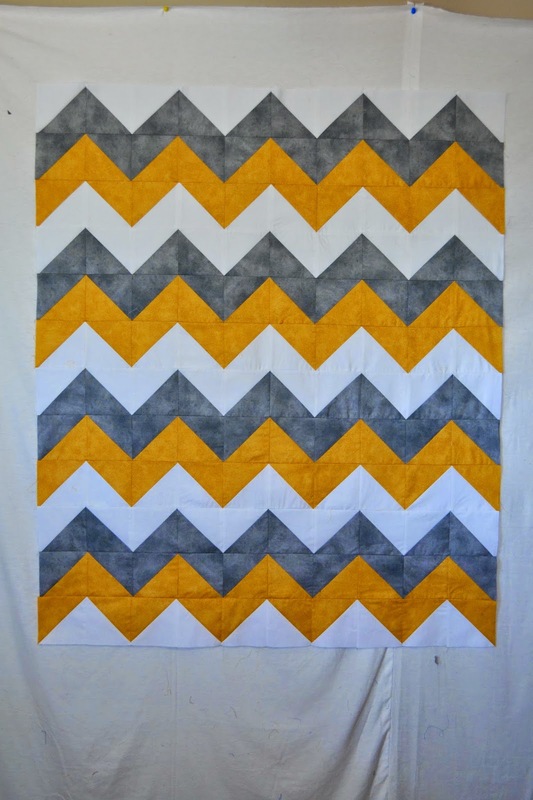 Magpie Quilts: What's on my design wall? 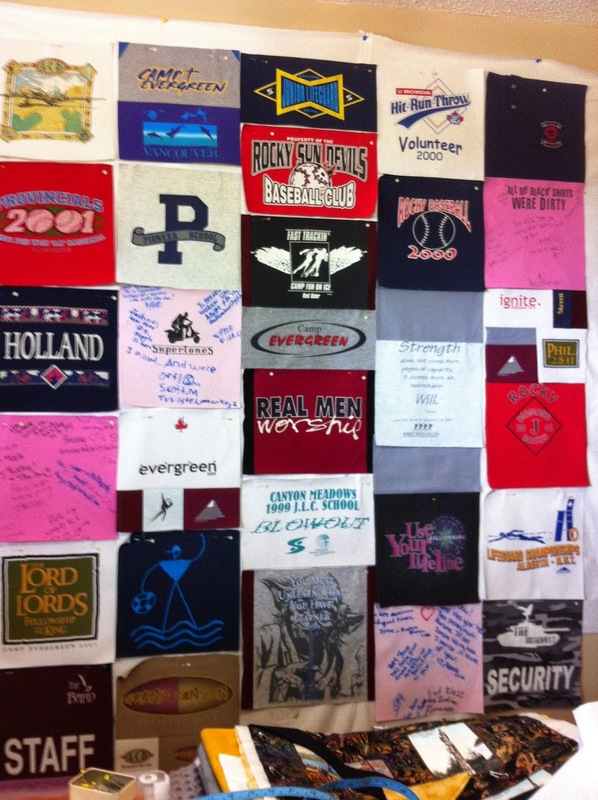 This week, my design wall was covered with T-shirt logos for a custom T-shirt quilt. I have 2 to make for this customer and this was the first one. And this is a project I'm working on in between other quilts! Every so often, I pull the box of pieces (already cut!) and sew together a few blocks. Before I know it (I hope!) 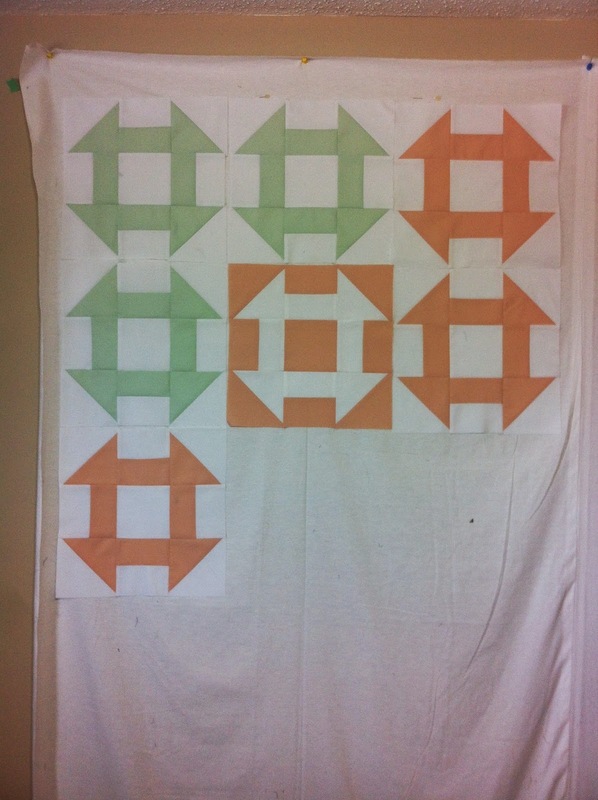 this top will be done and ready for quilting! Yellow and gray continues to be a popular color combo for me - this one in mustard yellow and a charcoal gray for a baby's nursery. I also finished 2 other baby quilts that I had cut the fabric for earlier and one is already sold and on it's way to Missouri! Finally, this signature quilt made up of signature blocks from a year or so back is finally layered and ready to quilt, so next time I have an hour or so to quilt, this one will get finished. The signature blocks were collected from fellow members of the Quiltsy team - quilters who are also selling their quilts on Etsy! So, it has been a productive summer so far!